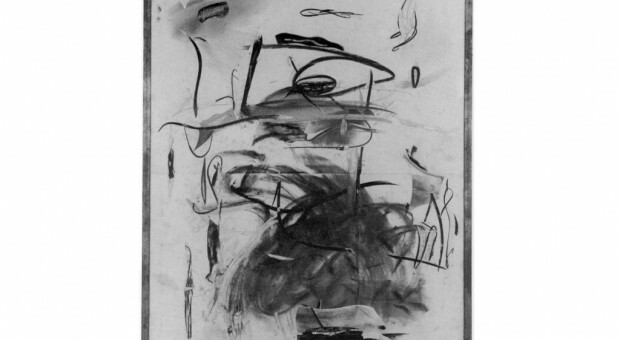 Michael Singer’s drawings are part of public collections in the United States and abroad, including the Australian National Gallery, Canberra; Louisiana Museum of Modern Art, Humlebaek, Denmark; Guggenheim Museum, New York; The Museum of Modern Art, New York, The Neuberger Museum and the Yale University Art Gallery. Singer has participated in a number of the most important exhibitions of the past thirty years including the Guggenheim’s “Ten Young Artists Theodoron Award Exhibition,” “Documenta 6,” The Kunsthaus Zurich’s “Mythos and Ritual,” “Sculpture in the Twentieth Century” in Reihen, Switzerland, The Walker Art Center’s “Sculpture Inside Outside,” and The Museum of Modern Art, New York City “Primitivism in the 20th Century.” He has had several one-person shows, most notably at the Guggenheim Museum, New York City and most recently in 2011-2012 at the Utzon Center in Aalborg and the Danish Architectural Center in Copenhagen, Denmark. Below is a selection of Michael Singer’s collage drawings from 1973-1993. Ritual Series 1/2/79. 1979, paper collage, charcoal and chalk on paper. 59 x 43”. Collection of the Yale University Art Gallery, New Haven. 7 Moon Ritual Series. 1985, Lithograph Artist Proof. 51 x 38.5”. Cloud Hands Ritual Series 10/21/83 II . 1983, paper collage, charcoal and chalk on paper. 51 x 39”. Ritual Series 6/12/76. 1976, paper collage, charcoal and chalk on paper. 48 x 47”. Phoenix Study 8/10/89. 1989, cast paper, paper collage, charcoal and chalk on paper. 51 x 39”. Seven Moon Ritual Series 3/21/79. 1979, paper collage, charcoal and chalk on paper. 57.5 x 41”. Collection of the Solomon R. Guggenheim Museum, New York. Ritual Series 4/3/76. 1976, paper collage, charcoal and chalk on paper. 42 x 82”. Collection of the Neuberger Museum, State University of New York at Purchase. Ritual Series 11/27/81. 1981, paper collage, charcoal and chalk on paper. 51 x 39”. Sangam Study 10/11/76. 1976, paper collage, charcoal and chalk on paper. 21×47”. Seven Moon Ritual Series 7/25/80. 1980, paper collage, charcoal and chalk on paper. 39 x 84”. Ritual Series 11/9/78. 1978, paper collage, charcoal and chalk on paper. 44 x 32”. Cloud Hands Ritual Series 10/21/83. 1983, paper collage, charcoal and chalk on paper. 51 x 39”. Retellings 9/17/88. 1988, paper collage, charcoal and chalk on paper. 34 x 96”.